You'll be £12.99 closer to your next £10.00 credit when you purchase Drop Zone Borneo. What's this? In 1963 the Indonesian Army that threatened Borneo numbered 330,000 men, plus three thousand Commandos. Of these, six thousand were within 20 miles of the Borneo frontier. This grew to thirteen thousand in early 1965. From mid-way through 1964, British troops and their allies who were defending the border started to make offensive incursions into Indonesian Borneo - these operations were codenamed "Claret". - an entire army was kept supplied in the field for the complete campaign. This is the exciting account from a pilot who flew the dangerous flying missions and relates the tenseness and stresses of Jungle life in those dangerous days. This is an interesting view of a neglected aspect of RAF transport activity and is a very readable account of what it was like to have to operate in very difficult conditions. Serving with 215 Squadron, co-piloting Armstrong Whitworth Argosy transport aircraft, the author flew deep over the jungle terrain of Borneo between 1963 and 1965. 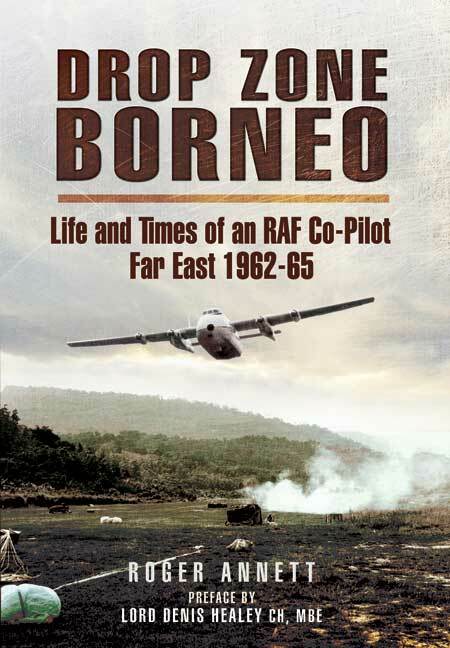 He reveals in this account that in the whole of Borneo campaign there were no fatalities among the RAF supplying-dropping-transports- a remarkable fact.